Rod Stewart and Elton John have had their disputes over the years, but the latest may be a real record breaker. 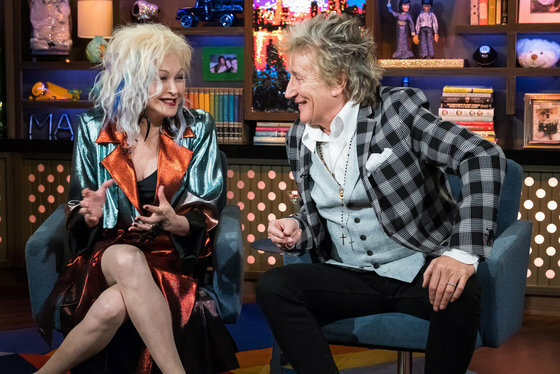 Stewart appeared on Bravo's Watch What Happens Live with his current tour partner, Cyndi Lauper, on Thursday night and had some very choice words about Elton's Farewell Tour. A caller to the show asked Stewart what he thought of Elton's tour with Rod answering "I did e-mail her and ask "What, again dear?" and I didn't hear anything back but, to talk about retirement, I've never spoken about retirement and if I do retire, I won't make an announcement. I'll just fade away. I don't think this big deal "I'm going to retire" stinks of selling tickets." He added "It's dishonest. It's not rock and roll."